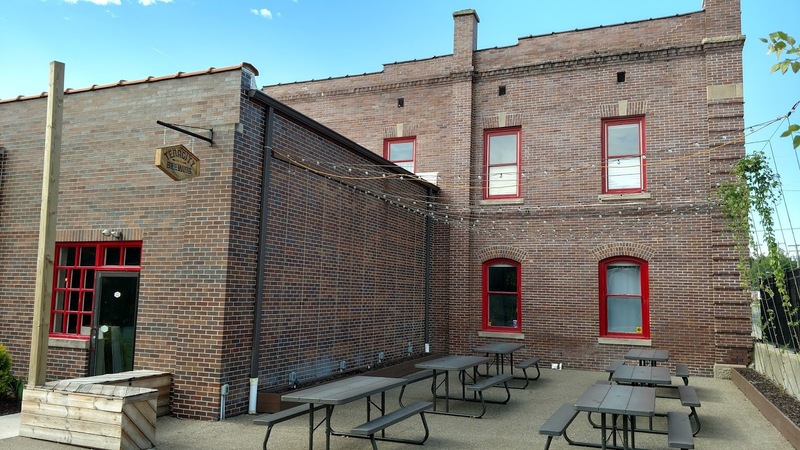 The Lansing Brewing Company opened in 2015, more than one hundred years after the original Lansing Brewing Company closed its doors due to prohibition. 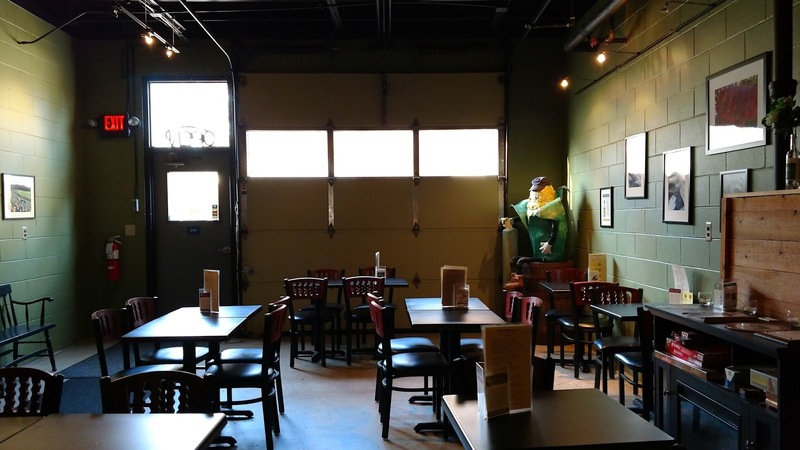 The new establishment is in a former auto warehouse and serves food, in addition to beer, wine, and spirits. I have visited a few times this year and have never been disappointed with the food or the beer. I've sampled several of their beers and have enjoyed them all. 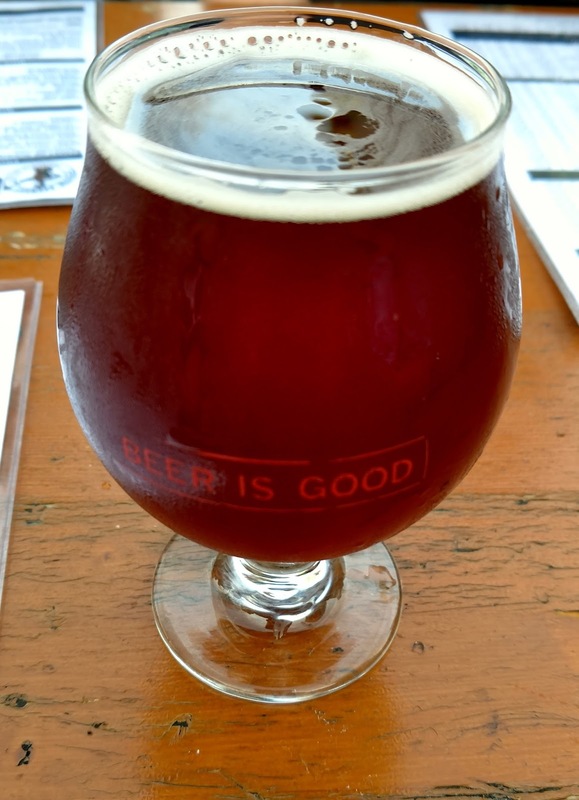 The Amber Cream Ale is a rare style that is one of their signature beers. I recommend trying it. Visitors can take beer to go in growlers, or take home beer in 32-ounce cans called crowlers. 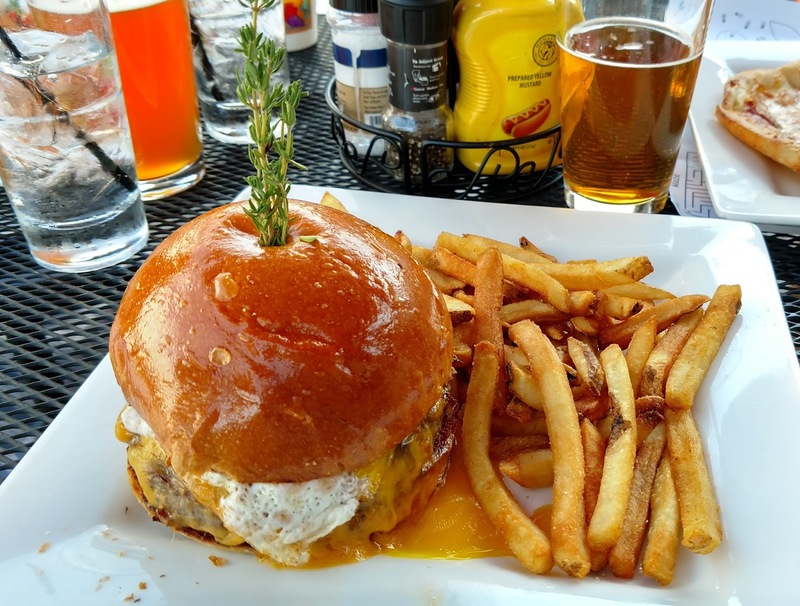 I have visited Midtown Brewing Company only once, for lunch. This Lansing brewpub has a few of its own beers on tap as well as beers from other craft brewers. I tried their stout, and it was solid. The Mutha Ducker burger was outstanding. The burger consists of grass-fed beef, fried goat cheese, cherry-walnut conserve, duck fat, house-made duck pastrami, and arugula. I'm pretty sure the burger covers all the five food groups. 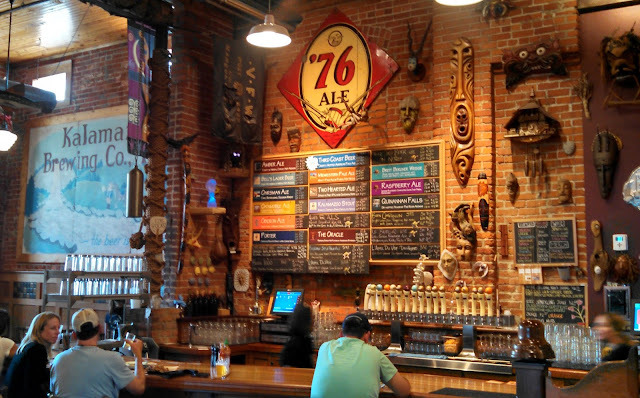 Atwater in the Park is Detroit's Atwater Brewery's location in Grosse Pointe Park. The brewpub is housed in an old church and serves a full food menu as well as beers brewed onsite and at the Detroit facility. My family and I were able to sit in the outdoor biergarten on a gorgeous fall day with friends who live nearby. We were still stuffed from an amazing brunch at Dime Store, so we just ordered a few appetizers and some beer. Our kids loved the Crazy Big Pretzel (I did too, to be honest), and the beers were awesome. The biergarten is the perfect place to enjoy the company of good friends while enjoying good beer. 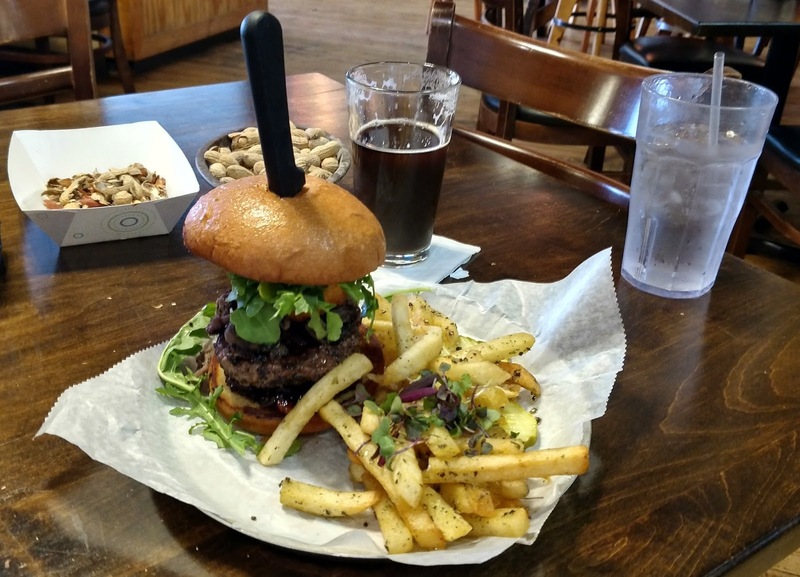 I previously reviewed the Vierling Restaurant and Marquette Harbor Brewery in my review of Marquette's food and drink scene. I still look back longingly on the beer sampler I tried and their Where's My Bike? Double IPA. The Vierling is a must-visit for any trip to Marquette. Michigan is experiencing a craft distilling revolution much like the craft beer revolution of the last two decades. 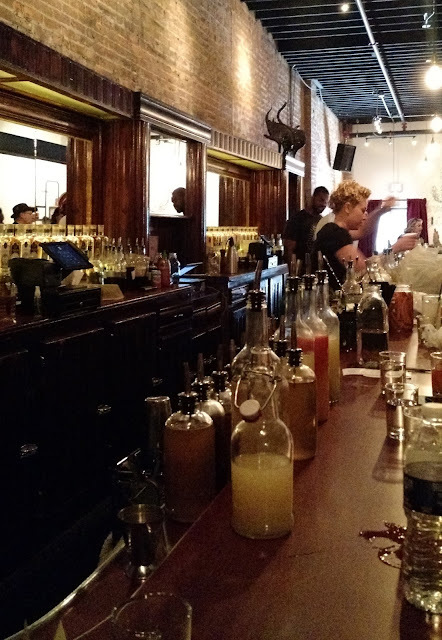 Detroit City Distillery opened in 2014 with a tasting room in Eastern Market. 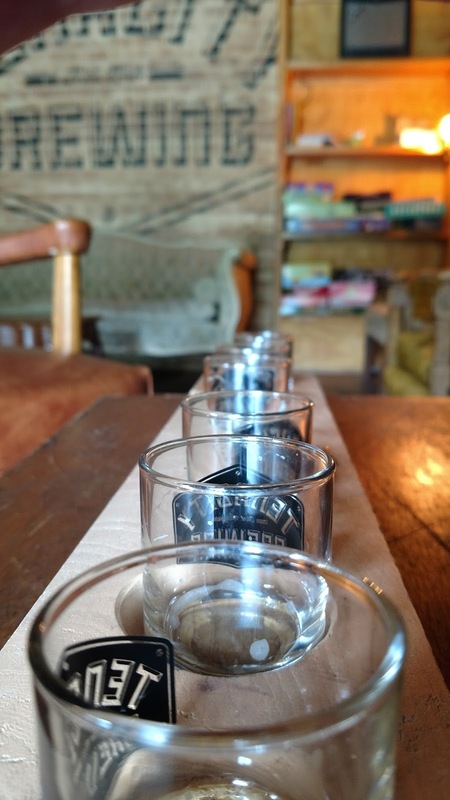 The tasting room feels like a bar should feel. It's dark, with exposed brick, a long mahogany bar, and no incessant music. It seems designed to encourage the enjoyment of spirits and the art of conversation. My wife and I stopped in for a quick drink one afternoon. I tried the Spirit Flight while she ordered a cocktail. I enjoyed the rye most and picked up a bottle to go. The next time I'm in Eastern Market without kids, I will definitely stop in. East Lansing's Red Cedar Spirits opened in 1998 and is one of Michigan's oldest distilleries. I visited shortly after the tasting room opened on a weekday, so I was the only customer in the place. Red Cedar Spirits is on the outskirts of town, so there isn't much else around it. But the bar itself was cool, and the bartender was knowledgeable about their spirits. Although their cocktails sounded interesting, I tried a flight, so I could sample their products undiluted. Overall, the spirits were good, and I purchased a bottle of bourbon to go. I previously wrote about Channel Wine Bar in my post about visiting South Haven. The Channel Wine Bar specializes in California wines and is a very laid-back and peaceful place to sip wine and have a conversation. 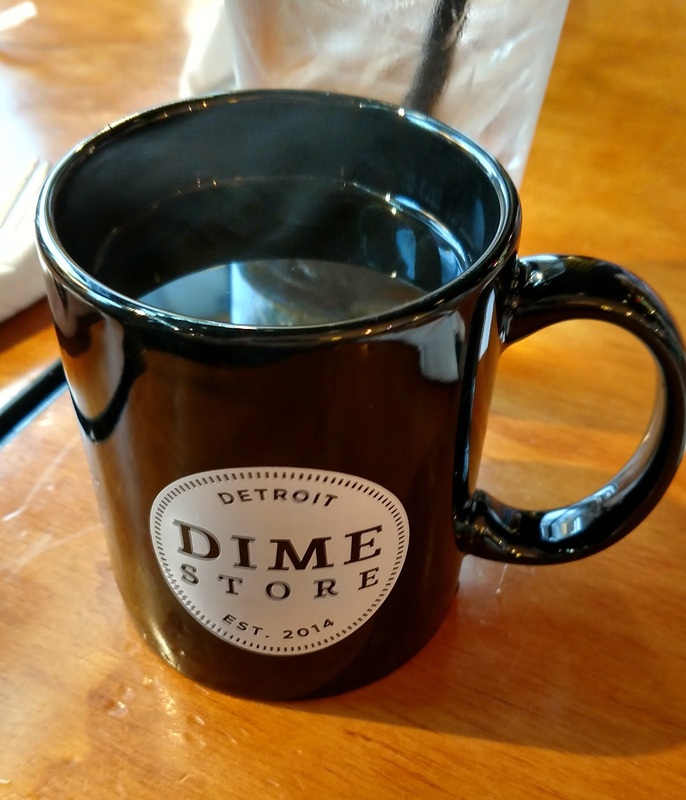 Detroit's Dime Store is a top-notch breakfast and lunch option when visiting downtown. I have visited only once on a weekend. It was crowded, but the long wait for our party of eight was worth it. I had the sausage omelette (house-made pork sausage, bell pepper, onion, and fontina), which comes with toast and a large portion of breakfast potatoes. 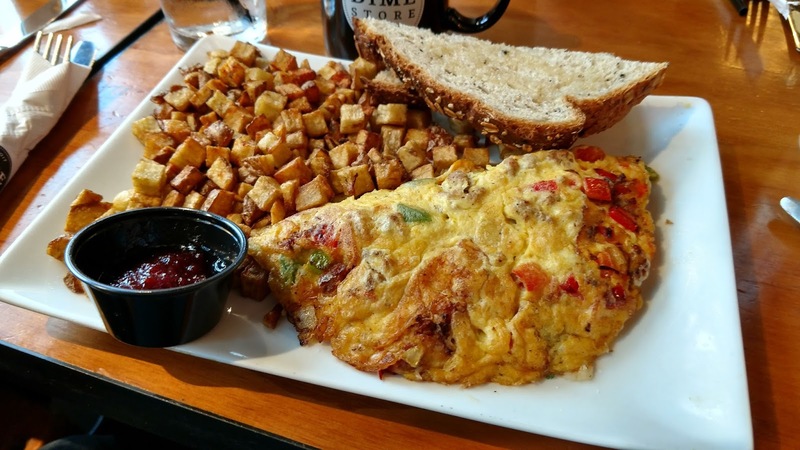 The omelette was excellent, and the pork sausage was amazing. Everyone in our party loved their food, and we all left happy and full. Honcho describes itself as serving "Latin street food and coffee." This Clarkston restaurant opened in October and is part of the Union Joints group of restaurants. My wife and I visited in mid-November after running the Clarkston Back Roads Half Marathon. We had planned on visiting another Union Joints restaurant, Clarkston Union, but they had an hour wait and we were suffering from serious post-race hunger. The long wait at Clarkston Union was fortuitous because it allowed us to have some of the best tacos I've had in Michigan. The tacos are not traditional Mexican tacos but a fusion of different cuisines. They also serve arepas, which are corn patties. I ordered two tacos and one arepa. The Moroccan beef, Korean pork, and curried lamb tacos (and arepas) were delectable and deceptively filling. We also ordered their salsa sampler with tortilla appetizer, which was definitely a good choice. As for the coffee, I only tried their regular coffee, but it clearly was high quality. My only problem with Honcho is that I don't live close enough to eat there more often. Detroit's Chartreuse is next door to the Detroit Institute of Arts and it deservedly makes a lot of "best of" lists. This warm and inviting restaurant serves excellent cocktails and creative dishes. I previously reviewed the restaurant here. The Detroit Free Press named it restaurant of the year, and I cannot argue with that. I love a good food truck and good tacos, so let's just say I adore Marquette's Dia de los Tacos. 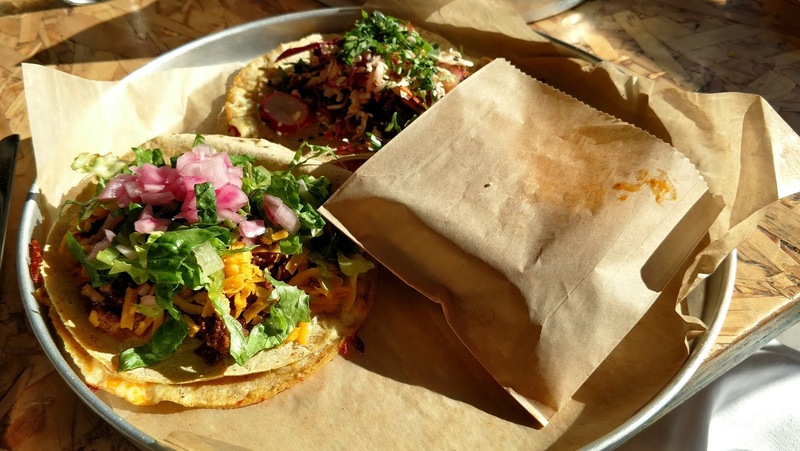 I previously wrote about their tacos in this post about Marquette, but I will add that my eight-year-old daughter still talks about "that food truck in Marquette." She might talk about it, but I dream about Dia de los Tacos. Spanish for "Best day of the year!" I also previously wrote about Jean Kay's Pasties & Subs in my Marquette food post, but it's a must-visit when in Marquette, especially if you want to try some of the best pasties in Michigan. If you like pasties, you won't be disappointed. Fork n' Pint in Waterford opened in December 2015. In April, I wrote about my first visit. Although my review was positive, my opinion of this restaurant has improved with each visit. Due to its great food, strong beer list, and location near my house, it is by far my most-visited restaurant of 2016. A few favorites are the Asian beef tacos, the pretzel bread appetizer, the walleye n' chips, and their burgers. I second the nomination for Bell's! Fun atmosphere and a great menu. My omelette was delicious! Thanks for the comment. I've always loved their beers, but this was my first visit to their restaurant. Definitely enjoyed it!